Vigorous deciduous twining vine. 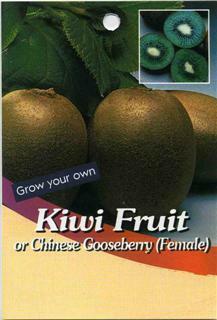 Female plants produce fruit but a male plant is needed for pollination. 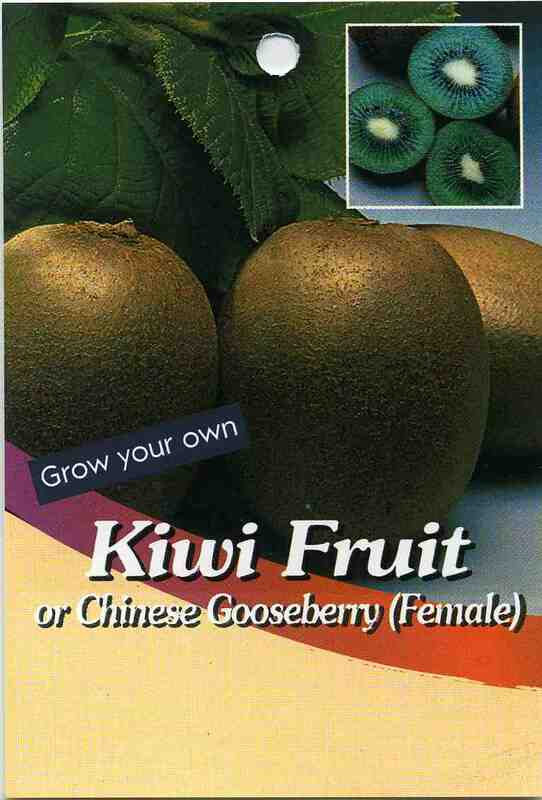 FEATURES: Delicious fruit which keeps for long periods. CONDITIONS: Prefers full sun or semi-shade and a well drained, moist soil. Plenty of water is required. Provide protection from hot, strong winds. 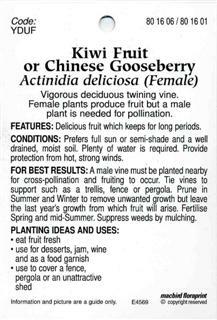 FOR BEST RESULTS: A male vine must be planted nearby for cross-pollination and fruiting to occur. Tie vines to support such as a trellis, fence or pergola. Prune in Summer and Winter to remove unwanted growth but leave the last year's growth from which fruit will arise. 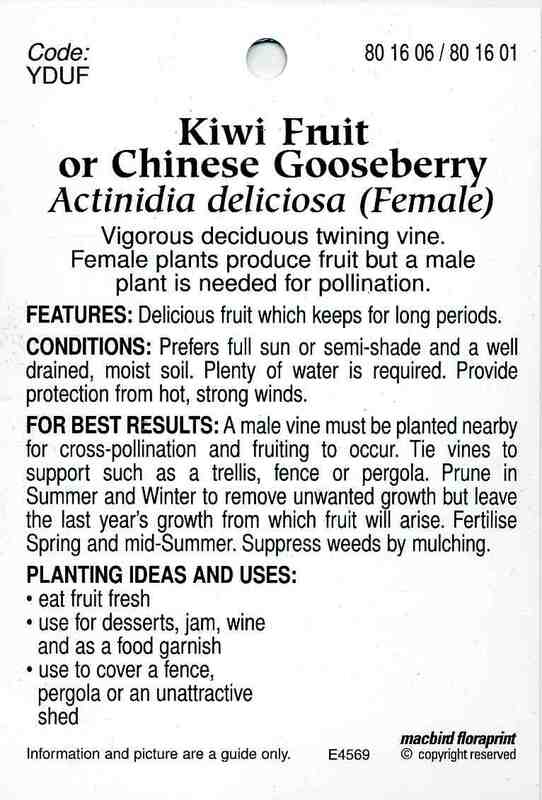 Fertilise Spring and mid-Summer. Suppress weeds by mulching.